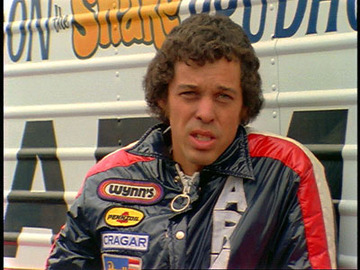 Don 'The Snake' Prudhomme, (born Ai San Fernando, California) is a retired drag racer. In 1962, Prudhomme was a partner in the Greer-Black-Prudhomme digger, which earned the best win record in NHRA history, before switching to Funny Car. He would win the NHRA FC championship four times in his thirty-five-year career. He earned the nickname "The Snake" in high school. He was the first Funny Car driver to exceed 250 mph. He retired in 1994 to manage his own racing team. With driver Larry Dixon, Prudhomme's team won the Top Fuel championship in 2002 and 2003. In 2009, Dixon signed to drive the Al-Anabi Top Fuel Dragster, and Spencer Massey took over Prudhomme's car. At the end of the 2009 racing season, sponsorship went away and Prudhomme retired from active racing. Prudhomme was known for his yellow 1970 Plymouth Barracuda in which he raced rival driver Tom McEwen in his red 1970 Plymouth Duster, named Mongoose. Both drivers gained wider public attention from Mattel's "Hot Wheels" toy versions of the cars that were released in 1970. Hot Wheels celebrated their 35th anniversary in 2005 with a two-day event. Prudhomme was inducted into the Diecast Hall of Fame as an Automotive Legend as part of the Class of 2010.